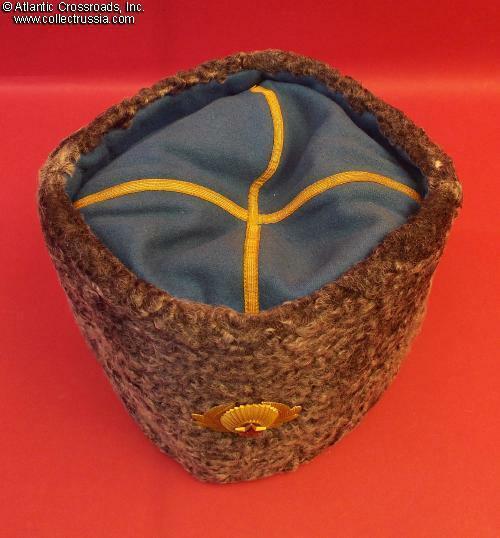 Air Force general papakha winter fur cap, circa 1960s. 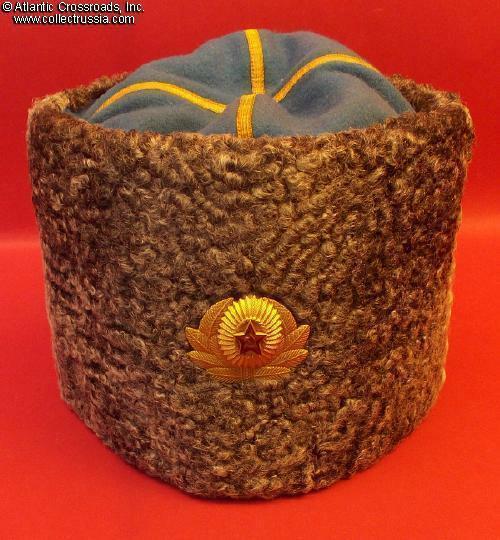 Air Force general papakha winter fur cap, circa 1960s. 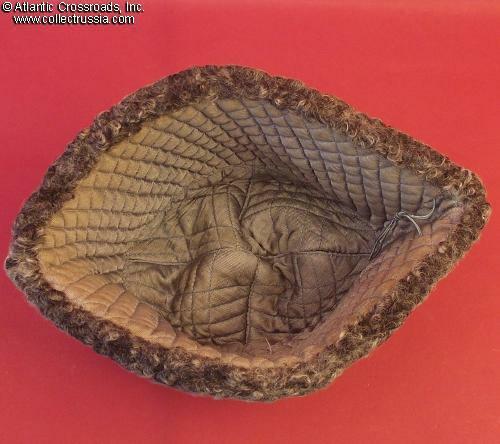 An extremely well made piece in very good to excellent condition. 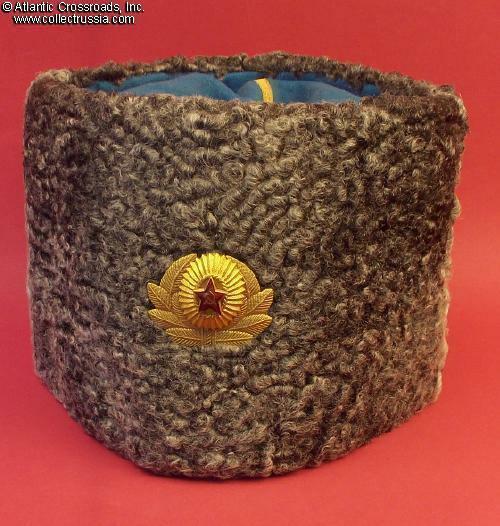 In fine quality gray astrakhan lamb fur; the top is in light blue wool fabric with crossed stripes of gold brocade. 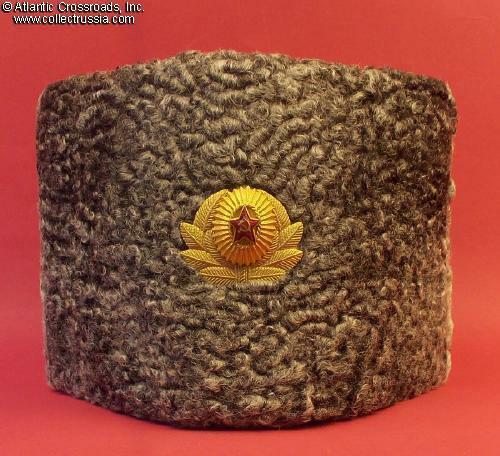 Includes AF general's hat badge of the early type: 3-piece construction, in solid brass with fire gilt and high quality enamel. No markings. The size is approximately 56 (equivalent US size 7). In very good to excellent condition. 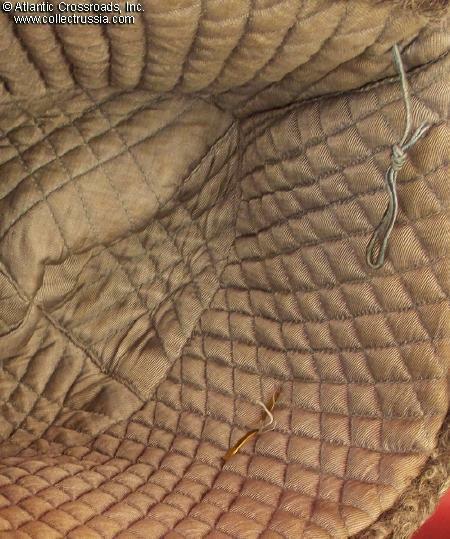 The fur is extremely well preserved and sound; there is no heavy wear or soiling to the brim and just a tiny amount of wear to the fur on the side without the usual big, easily noticeable threadbare areas. The cloth top is completely free of moth damage. The linter is clean. 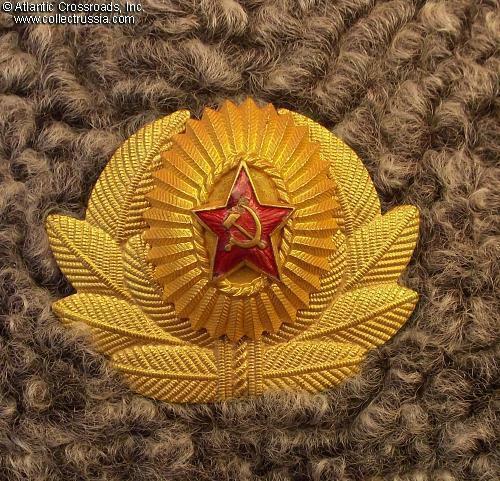 The center part of the hat badge has damage to the red enamel, not very noticeable or detracting.